Registration opens Friday, September 28th at 9:00 AM EST! Adventure seekers and travelers of all ages and interests are welcome! “Blondie in Havana” is an event for music lovers, and adventure seekers of all ages, interests, and tastes! Admission for the Blondie shows are available to non-Cuban citizens only if you are part of our travel group. Tickets to the shows are not available unless you are part of our group. ALL SIGHTSEEING TOURS AND WORKSHOPS WILL IN GROUPS OF 15 OR LESS! Under the Trump Administration, individual tourism for US Citizens has been discontinued. But legitimate Cultural Exchanges with licensed travel groups are 100% allowed and even encouraged. Music & Arts Live is fully licensed by both the US Government (Office of Foreign Asset Control, Departments of Treasury who oversee the US Embargo) and Cuban Ministry of Culture to lead these events. Because our groups have Cuban performers on stage at night and during the days we will be visiting Cuban artists, they are 100% legitimate Cultural Exchanges. Our trip will not be impacted by the recent changes in US-Cuban relations recently announced. US Citizens can obtain their individual travel visas to Cuba from the airline they choose to fly. They should cost roughly $85 per person. Or they can purchase them here. cubavisaservices.com Non-U.S. citizens may travel to Cuba without a visa. We will heading off on Blondie’s first-ever trip to Havana, Cuba and we’d like for our friends and fans to join us. Blondie has always been an international band. Over the past four decades we’ve played everywhere – Asia, Latin America, South America, Eastern Europe – but we have never made it to Cuba…until now. We’ve been talking about performing in Havana for ages so as soon as it became a possibility, we started putting this trip together. It’s a real thrill and a career highlight for Blondie to be part of this Cultural Exchange, to have such a unique opportunity to experience Cuba’s distinctive music, arts, food and culture together with you. We will be playing two concerts at Havana’s famous Teatro Mella – Blondie’s very first time performing live on Cuban soil. We’ll definitely be changing things up a bit each night but both shows will include all your favorite songs from throughout our career. There will definitely be a special energy coming off the stage, simply because we’ll be so excited to be there, in Havana, surrounded by new friends and some of our biggest fans. 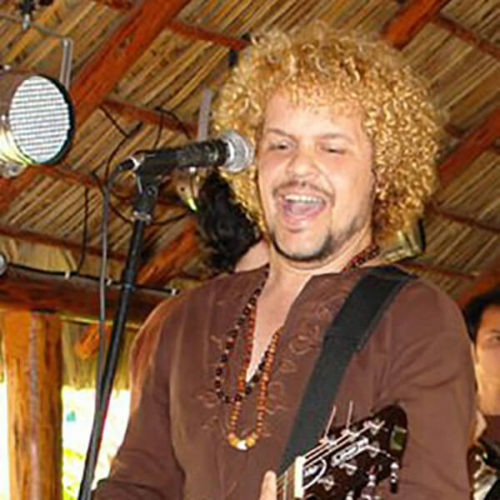 We will be supported by some incredible local musicians and bands, including multiple Latin GRAMMY® Award-nominee Alain Perez, revolutionary troubadour David Torrens, and the great Afro-Cuban progressive rock band Sintesis. We’re really looking forward to checking them all out with you. 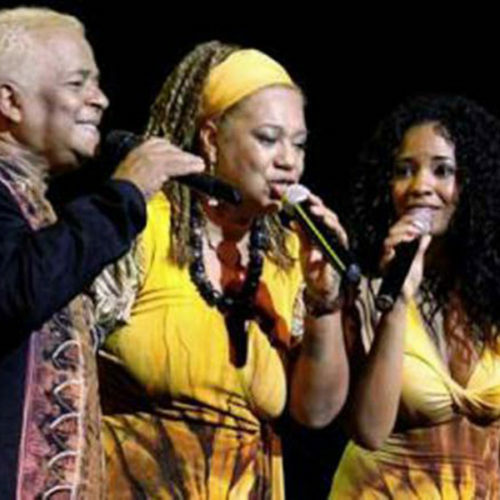 It will be an amazing chance for all of us to really explore Cuba’s amazing musical tradition and future. That’s ultimately what this trip is all about – expanding our horizons by listening to new things, meeting new people, exploring a culture different than our own. We’re been trying to get to Cuba for a long, long time and everyone is really up for it. As musicians, so many things influence us and we’re always looking for something new and different to inspire us. That’s always been a big part of Blondie. Cultural Exchange is something we all just do naturally, you can always learn from other cultures, other musicians. That’s ultimately what this trip is all about – expanding our horizons by listening to new things, meeting new people, exploring a culture different than our own. The relationship between our two countries has been so complex for so long. We’re so curious to discover how our Cuban friends think and feel, it’s so hard to tell from here in America. We’re really looking forward to it and we hope to see you there. Welcome to Blondie in Havana! For the past four decades, Blondie has become and still remains a national treasure. From an irreverent Lower East Side punk outfit to bona fide international ambassadors of New York cool, Blondie will forever be synonymous with that punk spirit that lives somewhere in all of us. The band’s influence has both shaped and continues to inform the worlds of music, fashion and art. Comprised of singer-songwriter Debbie Harry, guitarist and co-writer Chris Stein, powerhouse drummer Clem Burke, and long-time band members bassist Leigh Foxx, guitarist Tommy Kessler and keyboardist Matt Katz-Bohen, Blondie’s chart-topping success, fearless spirit and rare longevity led to an induction into the Rock & Roll Hall of Fame in 2006, a NME Godlike Genius Award in 2014, a Q Award for Outstanding Contribution to Music in 2016, the 2017 Silver Clef Outstanding Achievement Award and more than 45 million albums sold worldwide to date. Debbie Harry’s persona and the band’s boundary-pushing pop have shaped the look and sound of many chart-topping female artists who followed in the last three decades. Blondie’s newest album, Pollinator, delves even deeper into this concept: inspiration from Blondie’s action-packed, cross-pollinating past shaping the sound of our collective future. The band released their 11th studio album entitled Pollinator during May 2017. Selected as one of Rolling Stone Magazine’s 20 Best Pop Albums of 2017, Pollinator is a remarkable album that stands alongside any in their celebrated and trailblazing career. GRAMMY® Award-winning producer John Congleton (The Decemberists, St. Vincent, Sigur Ros) brought out the late ’70s Parallel Lines attitude of Blondie again on Pollinator, with arrangements that are fast and fun, lyrics that are romantic and teasing, and synth-stoked hooks that evoke the new wave era. Check out some of the many venues, restaurants, and other locations that will play host to our group in Havana below. Visit in Old Havana the galleries where local artists exhibit their works in the framework of a socio-cultural project and the artistic creation studios. Visit the Centro Comercial Artesanal San José (San José Craft Shopping Center) and the rum and cigar shops in Old Havana. You may visit your own shops and markets in Havana City according to your own interests. Featuring a daily-changing handwritten menu, this eclectic palodar will serve as our host for one of our fabulous dinners. 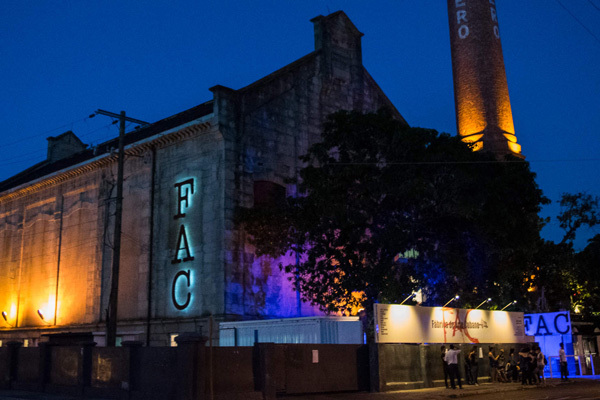 Transformed from a steel drum factory, this Havana art club and restaurant, Fábrica de Arte Cubano—translation “Factory of the Arts”—will also host workshops as well as evening concerts and recitals. A must-see location in Havana, this life-size studio, residence and community project of Cuban artist, José Rodriguez Fuster, will host one of our many excursions in Havana. This magnificent theatre has been home to the Cuban National Ballet and, on its main stage, to the International Ballet Festival of Havana. 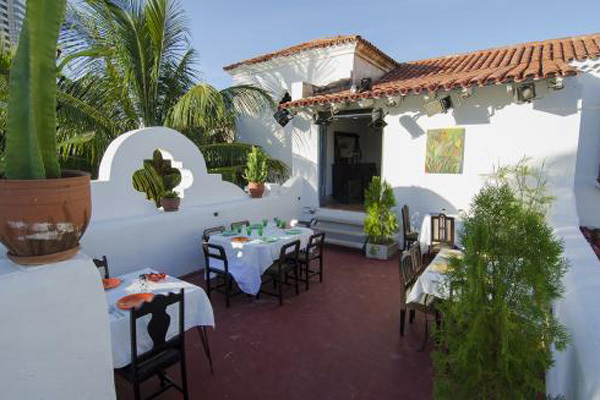 A popular palodar (privately run restaurants in people’s homes) in the heart of old Havana where we’ll enjoy dinner at night after the day’s workshops. 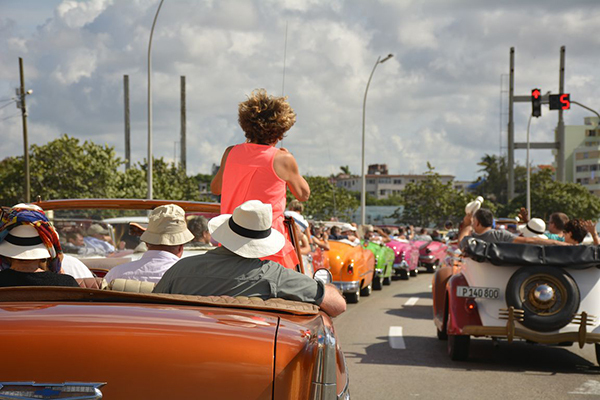 Enjoy a panoramic view of the main districts and buildings of Old, Modern, and Contemporary Havana from a vintage American convertible car. 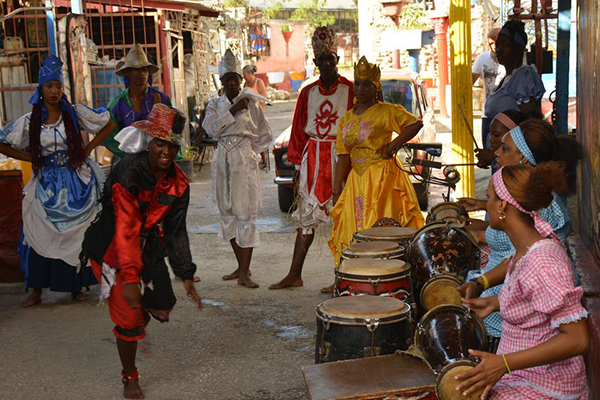 Join the party and take part in a Creole dancing with Afro-Cuban roots in an alley full of art and Cubanity. 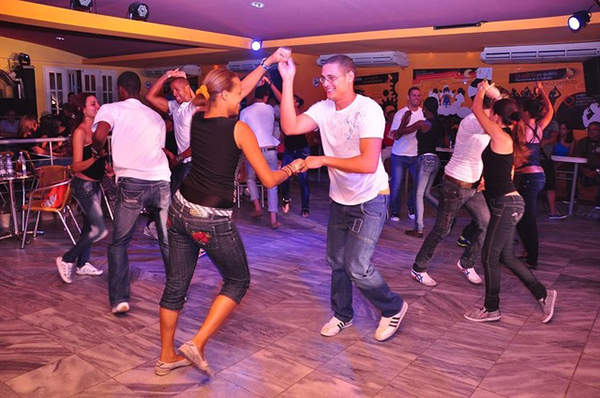 The Cuban Salsa is the most known Cuban music danced in the island and abroad. Nobody dances Salsa like a Cuban. 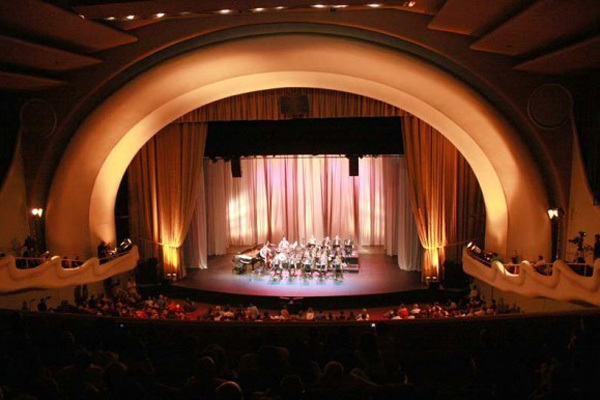 Occupying the site of the old Rodi Cinema on Línea, the Teatro Mella offers one of Havana's most comprehensive programs, including ballet, comedy shows, theater, dance and folklórico performances. Discover this World Heritage Site and one of the oldest cities in Latin America through its buildings, streets and squares. Blondie will be performing at Teatro Mella, March 15 and 16. 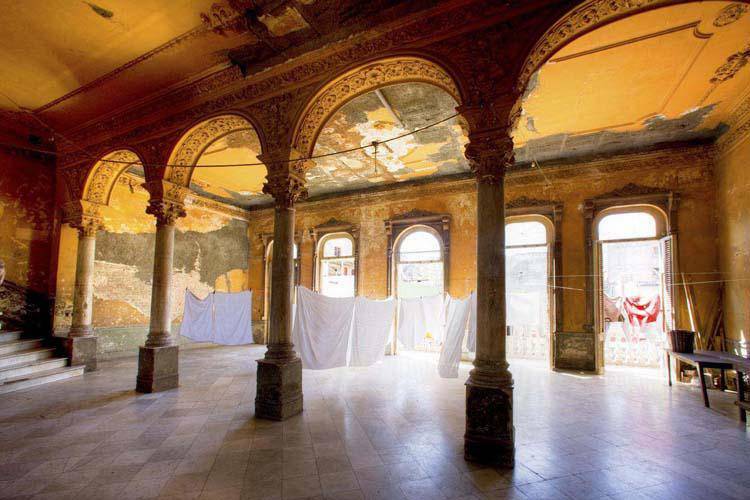 After dinner on March 14th, we will be visiting the most happening nightclub/art gallery/meeting space in Havana. It’s called Fabrica De Arte and is run by a collective of amazing local musicians and artists. It is very much the hub and center of young and hip Havana. Included in the program are all meals. Breakfast and lunches will be at the hotel. Dinners will be in the best “paladares” in Havana. some of them will include Atelier, Chansonnier, VIP Havana, and Tierra. All sightseeing groups will be limited to 15 people or less! Dinner at Paladar Cocinero and visit to Fabrica del Arte, where Chris Stein will be exhibiting prints and selling copies of his book. Blondie Concert at Teatro Mella with guest group Sintesis. On your first evening in Havana, take an hour-long ride in a historic American classic car and see the remarkable city and all it has to offer! Walk the streets of this historic Unesco preserved City with special attention paid to its architectural wonders and history- from medieval forts to art deco palaces. See the different neighborhoods and the center of the city with its decrepit beauty. Visit the leading and most famous artists in Havana at their homes and private studios including José Bruzón, Andy Rivero, The Merger studio, Los Carpinteros, Kamyl, Bullaudy, and La Mina. (We will also be visiting two galleries one in Modern Havana and one in Old Havana.) These personal studios, often in the artist’s home, are unique to the Cuban art scene and a once in a lifetime experience for any art-lover. A visit to Old Havana, one of the oldest cities in Latin America, takes you back to the past with its heritage squares, main streets, the history, and buildings. See and learn about the streets of this historic Unesco preserved City with special attention to the history, cultural landmarks and galleries. Walk in the footsteps of Hemingway and Obama! Visiting the Orishas Museum and knowing the principles of the Afro-Cuban religion, begins this experience. After that, a Cuban Babalawo waits for you at his home to show you the main elements and procedures of the religion while tasting a Cuban café. An instructive experience to learn about the particularities and demystified the cultural traces of this religion. Join the top chefs in Havana the kitchen as you prepare your meal, learn the secrets to this tasty unique Caribbean cuisine! Percussion is the heartbeat of Cuban music! You’ll learn, one-on-one, the instruments and rhythms of Cuban percussion and the authentic flavor of Cuban music. A beautiful bicycle tour along the Miramar. Once in the Parque Almendares we’ll have a quick initiation for those interested in biking. Test your skills by going through natural obstacles while on the paths. Learn or improve the techniques of safety, speed, braking and more. Let’s keep going to take a quick look at the Square of the Revolution. See what Centro Habana looks like before we end the experience in Old Havana. This 3 hours biking tour, around the most representative neighborhoods and places of the city, will allow the visitor to know Havana from a completely different perspective. Visit the incomparable Museo Nacional de Bellas Artes de la Habana in Old Havana. This comprehensive museum offers a history of Cuban art and culture- from the days of Columbus to contemporary artists. Taste the perfect marriage of authentic Cuban Rum and the Habano Cigar with its multiple, natural flavors, an activity with a long cultural history and a uniquely Cuban experience. Learn all the right moves, one-on-one, with a Cuban salsa master! Learn the basics or work on your advanced steps. Perfect for anyone from beginners to experienced dancers! Situated on the Havana seafront, with views of the sea and the city in the district of Miramar, this leading urban venue boasts the largest swimming pool of all urban hotels in Cuba as well as a cigar bar tasting store for smokers and cigar lovers and even an art gallery! Meliá Habana is one of the premier hotels in the entire country and is part of the prestigious Meliá Hotels International family. Meliá Habana is located right alongside the Havana coastline in the heart of the Miramar residential and business district. The Meliá Hotels International family of hotels is one of the largest hotel companies in the world with hotels all over South America and Europe. Your room and meal charges at Meliá are included in your fees to DE, but for incidentals and other discretionary purchases Meliá Habana does accept non-US credit cards, travelers checks, and cash. Please remember that unless you have an International credit card for use at the Meliá all the above services will be on a cash pay-as-you-go basis. The stunning lobby offers a piano bar with live music and evening entertainment every day. 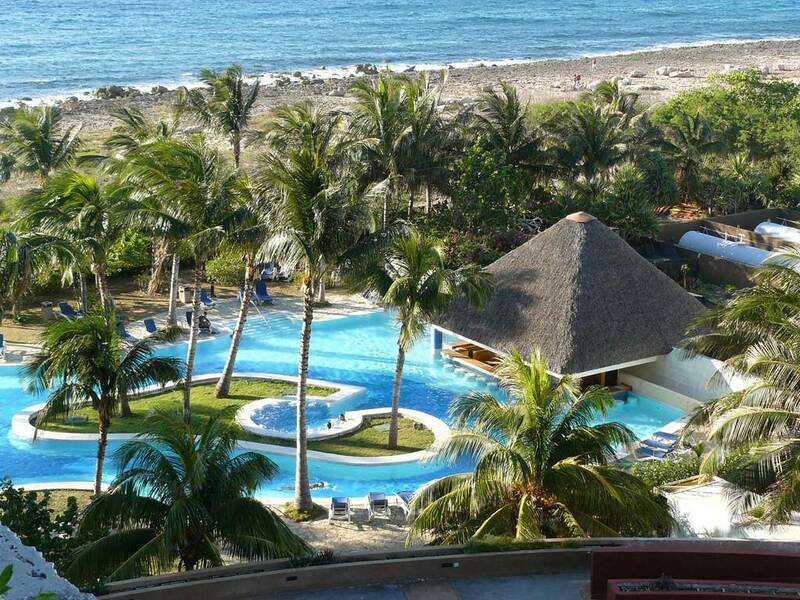 This leading hotel for travelers boasts lush tropical gardens and a great combination of views of the city and the sea. It also has the largest swimming pool of all the city hotels in Havana and Cuba! If you still have questions on travel, email us. 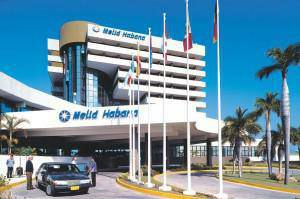 There are many taxis outside the terminals of Havana airport who can take you to Meliá Havana Hotel. In Cuba, it is always best to confirm the price with the driver before you get in, but it should cost around $45-$55 US. Music & Arts Live does not provide transportation to the hotel from the airport. You will need to find your own taxi or other method of transportation to the hotel. Effective immediately, there are daily non-stop flights from many major US cities to Havana, including New York City, Los Angeles, Charlotte, Houston, Dallas, Miami, Tampa, and others. So, you can now book your own flight to Cuba online or contact us for travel agent recommendations. Feel free to extend your trip and enjoy all that Cuba has to offer! If you would like to extend or change your itinerary in Cuba in any way, we would be pleased to help you do so. please just email us at info@dreamcatcher-events.com. Your airline will provide you with a Cuban visa. They will charge you approximately $100 for this. They will also charge you Cuban Departure tax of roughly $25 and Cuban health insurance of $8. This is all legit and required by all airlines. You will also be given a US travel document for Cuban travel. You will want to check off the “people to people” exchange on this document. The airline will also advise you on this. Please remember that US credit cards are not accepted in Cuba (but Canadian and European cards are) so you will need to bring cash. When you arrive in Havana at Jose Marti International Airport, there is currency exchange. You can exchange your International currency at the hotel. Once you arrive at the hotel, all your costs are covered, except shopping, optional sightseeing, snacks and drinks outside of meals, and alcohol. Your flight to and from Cuba, and your transportation to and from Meliá Hotel and the airport are not covered by Music & Arts Live. You will need to cover these costs yourself. Electrical outlets in Cuba will need a US adaptor in order to work. There are US compatible outlets in every room at the Meliá but we recommend that you bring your own to recharge your devices. There are safes in all the rooms at Meliá. There is little Wifi in Cuba but there is good Wifi in our hotel. There is also little International cell phone service but Verizon will work there. You will need a valid passport for this trip when you purchase your airfare and for travel to Cuba. Your airline will acquire visas and handle of the required paperwork with both the Cuban and United States governments. Non-U.S. registrants may go to Cuba on a tourist visa which you can get from your airline of choice. No special permission for non-US citizens is required. Feel free to extend your trip and enjoy all that Cuba has to offer! When you arrive at Havana airport, there are currency exchanges there where you can get Cuban CUCs. Standard Room with two twin beds and a roommate. You may either name a fellow registrant as your roommate or one will be assigned by Music & Arts Live. Roommate matches are based on age and gender. If signing up with a roommate in mind, please enter their name in the “Roommate” field as you continue registration. Roommate must also register for “Blondie in Havana”. Pricing is per person for 4 nights. Standard room with one king bed. Pricing is per person for four nights. Standard Room with one king bed meant to be shared by a couple. Pricing is for the room and two registrants for four nights. Standard Room with two twin beds meant to be shared by a couple. Pricing is for the room and two registrants for four nights. Standard Room with two twin beds and a roommate. You may either name a fellow registrant as your roommate or one will be assigned by Music & Arts Live. Roommate matches are based on age and gender. If signing up with a roommate in mind, please enter their name in the “Roommate” field as you continue registration. Roommate must also register for “Blondie in Havana”. Pricing is per person for 3 nights. Standard room with one king bed. Pricing is per person for three nights. Standard Room with one king bed meant to be shared by a couple. Pricing is for the room and two registrants for 3 nights. Standard Room with two twin beds meant to be shared by a couple. Pricing is for the room and two registrants for 3 nights. All your meals, including dinners at the best paladars in town! Shopping, optional sightseeing, late night-time outings! 100% of the remaining balance due on installment sales is automatically charged to the credit card on file on January 1, 2019. Any registrations received after January 1, 2019 must be paid in full at the time of registration. Blondie in Havana Registrations Activities and Sightseeing are now closed. If you would still like to sign up for Activities and Sightseeing please see us at the Destino Desk at the hotel when you arrive in Cuba. Take salsa and rumba lessons from Cuban pros and learn the moves that no one at home can manage! For all levels and for fun! 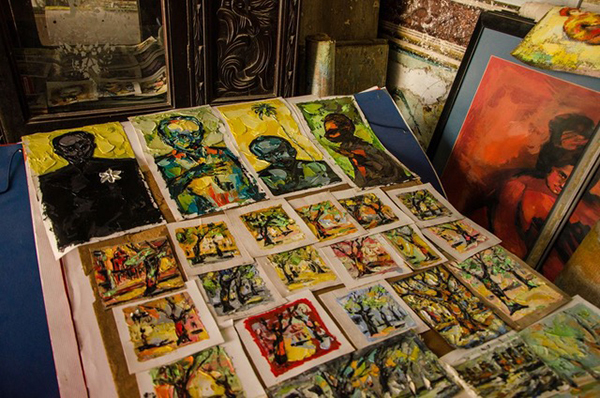 Visit the leading and most famous artists in Havana at their homes and private studios. 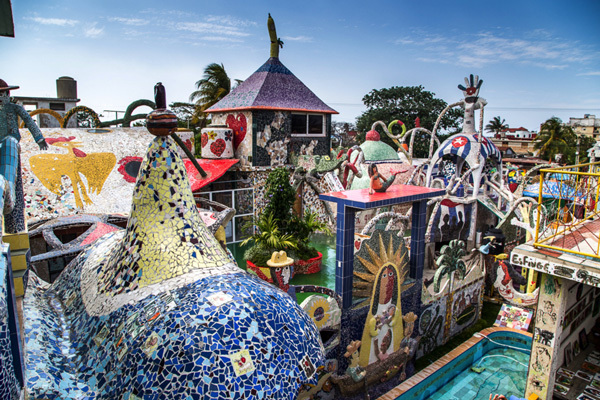 These incredible art meccas are unique to the Cuba art scene and a once in a lifetime experience for any art lover. Artists to be confirmed when we get closer to event. 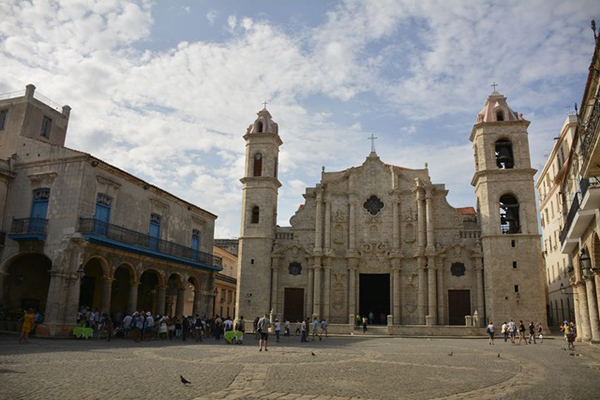 Cultural walking Tour of Old Havana - walking the streets of this historic Unesco preserved City with special attention to the history, cultural landmarks and galleries. Walk in the footsteps of Hemingway and Obama! Walking the streets of this historic Unesco preserved City, our guides will teach you about the architectural wonders and history of Havana. You will see the great many styles from medieval forts to art deco palaces as we walk though the historic Unesco preserved city neighborhoods of Old Havana. Specific sites include the Edificio Bacardi (original Headquarter), the Malecon, the Avenue Paseo, among others. Visiting the Orishas Museum and knowing the principles of the Afro-Cuban religion, begins this experience. After that, a Cuban Babalawo waits for you at his home to show you the main elements and procedures of the religion while tasting a Cuban coffee. An instructive experience to learn about the particularities and cultural traces of this religion. 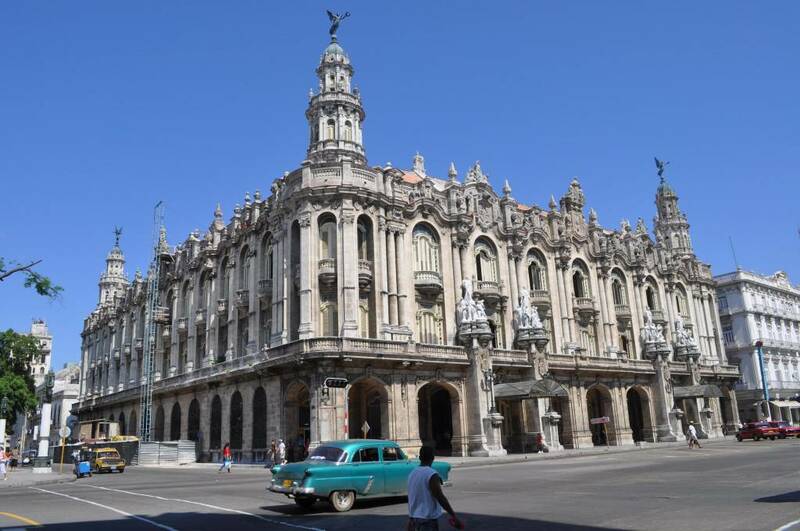 Visit the incomparable Museum Bellas Artes in Old Havana. This great and comprehensive museum offers a history of Cuban art and culture - from the days of Columbus to contemporary artists. “La ropa vieja”, “la fritura de viandas”,”el congrís”. All these traditional Cuban dishes will not be a secret for you anymore thanks to the encountering with a Cuban chef who will share with you his recipe. To know how these Cuban dishes are made, it is on you to buy the ingredients in the market and there you will discover how does an "agro" work. You will see the products depending on the season of the year. Help the chef and then taste the dish! Discover the tastes and the places where the famous American writer left his trace in Havana. Ernest Hemingway adopted the cultural memory of the island when he described it in some of his novels. For its part, Cuba offered him its natural and social wonders that made his literary creation and his love for mankind and history literally blossom. “... I had always dreamed about living one or two days as a real Cuban, discover their mannerisms, their daily activities, in a few words, their day by day life...”Play some dominoes, walk around the neighborhood as one of them, do the shopping, take care of the housework, cooking by using their own traditional methods, spend some time with the family and friends or simply enjoy a pleasant conversation while having a drink and sharing memories thumbing through a family photo album… Having a “friend in Havana” allows everyone to see Cuba from the inside, beyond any clichés. 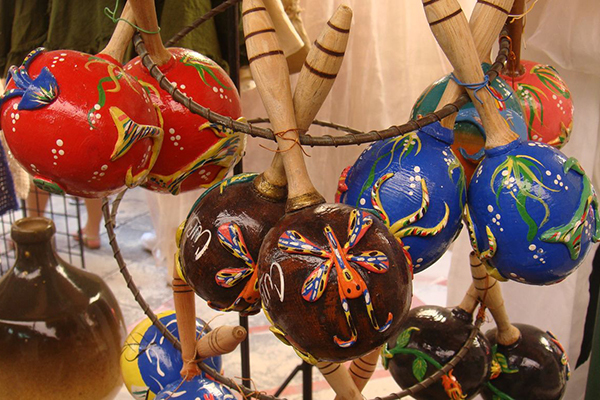 As part of the African heritage in the Cuban music, there is a strong presence of different percussion instruments in Cuban music. Mainly from a religious origin, Bata drums and others like Tumbadora, Güiro, chequere and bongó soon had joined the most contemporary timbales and this is how altogether are part of the basic rhythm of son, Cha-Cha-Cha or Latin jazz. These instruments could easily be found even in the classic music nowadays. Going through the Cuban school is mandatory for any percussionist or simply for someone who would get a better understanding of Cuban music. Here is an exceptional opportunity to collect instantly the artistic moment and the great emotional feeling that emanates from Havana due to its privileged geographical position and contrasts. To really discover the most authentic places and focus on a topic such as architecture, transportation, street views, religion... it is mandatory to use the expertise of a local photographer. This is an activity that links the basic tips for a good shot to the scenery of a very gracious city. Taste the perfect marriage of authentic Cuban Rum and the Habano Cigar with it's multiple, natural flavors, an activity with a long cultural history and a uniquely Cuban experience. Try the flavors. Smell the flavors. Taste the flavors.....become an Aficionado! 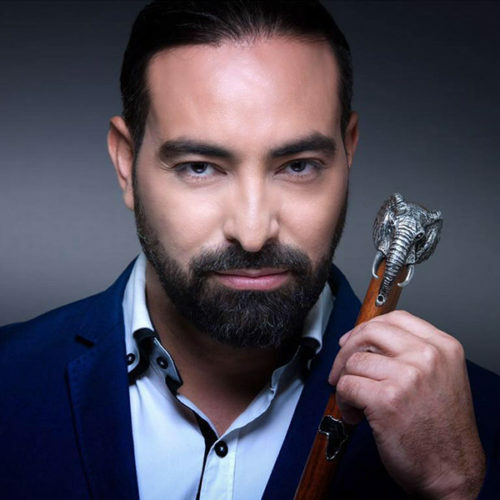 Learn about the work of some of the Cuban artistic companies that mix dancing and percussion to create entertainment and art. Enjoy a presentation and exchange with the passionate group of artists about Afro-Cuban percussion, the origin of the instruments, daily rehearsals, or about the members' personal life , a group of Cuban youth who live and work for the arts. “A beautiful bicycle tour along the neighborhood where your hotel is located. Test your skills by going through natural obstacles while while on the paths. Learn or improve the techniques of safety, speed, braking and more. Let’s keep going to take a quick look at this residential area, that will give you the chance to compare the different ways of live of Cubans. Can you think of a better way to learn Salsa Dancing than with a Cuban Master in Cuba? This is as good as it gets. Your decision to register for Blondie in Havana constitutes your acknowledgement of and consent to all of the registration, payment and cancellation terms and conditions listed below. Dreamcatcher Events, LLC reserves the right to use photos and videos taken during Blondie in Havana, including photos that include the images of any attendees, and to use such photos for advertising and marketing purposes. I hereby release Dreamcatcher Events, LLC, its employees, managers, vendors, owners and all associated entities, from all claims, liabilities, loss to property, damages, injuries, etc. arising out of or in connection with my purchase and/or participation in any aspect of Blondie in Havana.